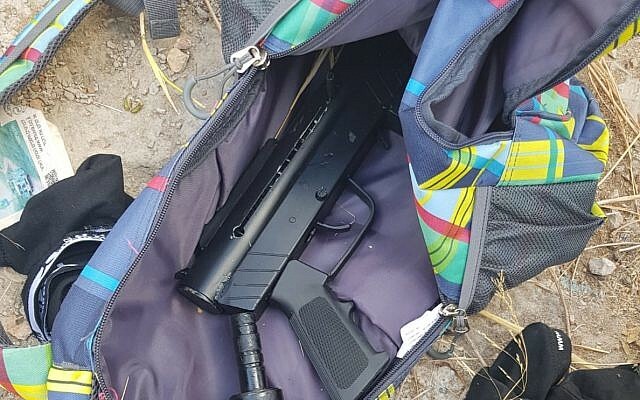 Two Arab teenagers from Nablus were caught by Israeli Border Police on Saturday afternoon carrying a pair of homemade machine guns. Troops were performing a routine patrol of areas bordering between Israeli-controlled and Palestinian Authority-controlled Samaria when they noticed the two suspects trying to sneak into Israeli territory near the Jewish town of Oranit. Police chased and caught the men, who were found to be carrying two Carlo-style submachine guns and bullet magazines.